We put the first UNF assembly together and then we created the roughcut and now we’re doing the hard yards of fine-tuning, constantly considering the big questions: Is this scene right? Is that scene too long? Is the story clear? Is it dragging? Does the film make sense? It’s tough in the editing trenches. Vision becomes tunneled. We have license to experiment, but deadlines to hit. 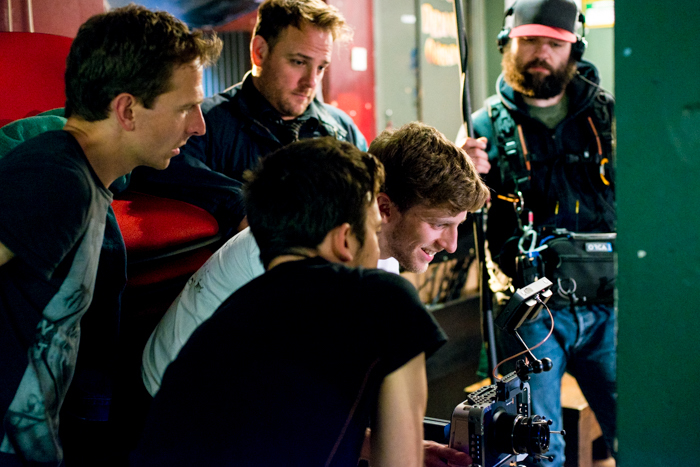 So glad to be following our amazing editor Callum Warrender through the maze. Progress is good. The latest cut runs at 93 mins. Some sections are wonderful. Our music tracks are ace. The cinematography is dreamy, imaginative and beautiful. Many risks we took are paying off. Often I can glimpse the final film, and that makes everything worthwhile. I’ll report back once we have Picture-Lock. A new year, new ideas and inspiration, new impetus to work on UNF and finish the film this year. We have a roughcut (that’s under 2 hours!) and are gradually refining. Footage shot in November has been added and looks fantastic, especially the boxing. Thanks to the good people at Lochend Boxing Club in Leith. Callum the editor and I will keep chipping away until Picture-lock, and are liaising with sound magicians about exciting soundscapes and auditory hallucinations. We’ll keep you posted. Hope it’s been a great beginning to 2017. Since she’s just had a new showreel cut, it’s a good time to introduce our leading lady on UNF. Elspeth Turner is a Scottish actor and performer, who trained and worked in New York City. She has an extensive background in theatre, and we’re honoured to have her lead our cast. Here’s her reel, cut by the talented Chris Cook, and scored by a brilliant track from Mairi Campbell and Dave Gray. January has been generous thus far. We’ve been editing in Glasgow with the brilliant Callum Warrender and making great progress. It’s immensely satisfying to discover that what we planned in pre-production and when shooting succeeds brilliantly in the edit. Plenty of single-take scenes! We’re on track to complete a roughcut by Spring, and then the fine-tuning will begin. Already we’re adding music – original compositions by the fantastic Mairi Campbell & Dave Gray, Fiona Rutherford, and Philip Pinsky – and experimenting with sound. The story is becoming clearer as we cut, and the tone is very pleasing. We’ll keep everyone updated with progress, and a few images! All news will be posted here first. 2015 was pretty incredible for Lyre, with ongoing DVD sales of our 2 feature films, plenty of script development, plus new shoots throughout Scotland. It was a privilege collaborating with new crew and creating original work. The rewards come when going through the rushes in the edit. Quality results time and again. This year looks set to keep the run going, and we cannot wait to get the kit out. So we wish you all a truly Happy New Year! May 2016 bring adventure and opportunity and reward. September saw us filming with the marvellous David Whitney, who joined our set to play psychiatrist Dr Lloyd. Also welcomed on set were A/C Steven Cook and sound man Paul Hartmann. We shot at Henry’s Cellar Bar, the famous Edinburgh music venue. Here’s some images, photographed by the amazing Thomas Morgan. We are proud to be promoting our colleague’s production at Edinburgh Fringe! Elspeth Turner co-stars in UNF but before she wraps shooting she’s performing at the world’s biggest arts festival in a play by her company Stoirm Og. Inspired by the bothy ballads of Scotland’s North East, playwright Elspeth Turner (The Idiot at the Wall, 2012) and acclaimed director Matthew Lenton (Vanishing Point) explore the fraying boundaries between past, present, and future. Weaving poetry, Doric, wild horses, and song, this courageous new play deftly wrestles with tradition, power, and the loneliness of modern life. 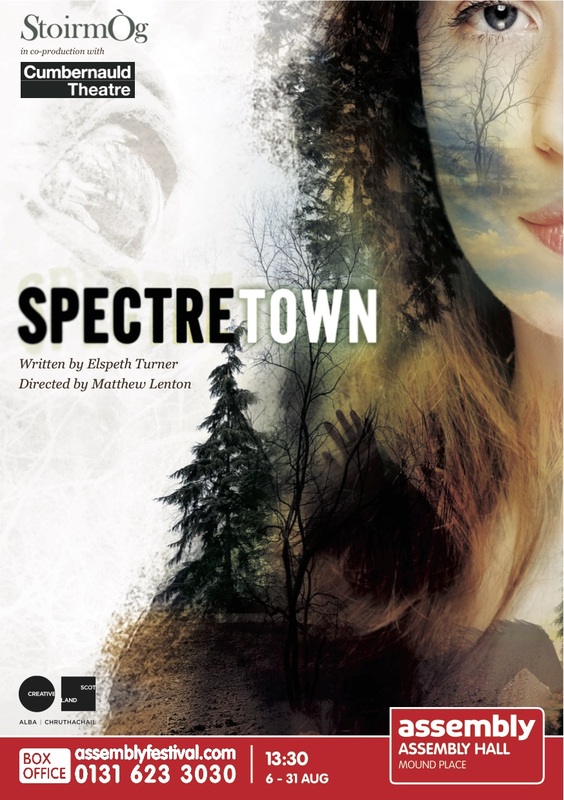 Spectretown plays at Assembly Hall at 13:30 and runs ’til 31st August.